The primary responsibility of Texas game wardens used to be pretty routine – crack down on drunken boaters and investigate fishing tournament cheaters. Now a team of them is patrolling the Rio Grande in search of suspected smugglers and undocumented immigrants, trading in their white cowboy hats for camouflage, the New York Times reports. It’s part of Gov. 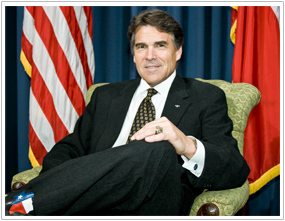 Rick Perry’s effort to create his own version of the Border Patrol along the state’s 1,200-mile border. State officials say the effort has paid off, netting thousands of arrests and tens of millions of dollars in drug seizures. Critics argue that Perry is exaggerating the problem and wasting public resources. Posted: 8/7/14 at 9:28 AM under News Story.